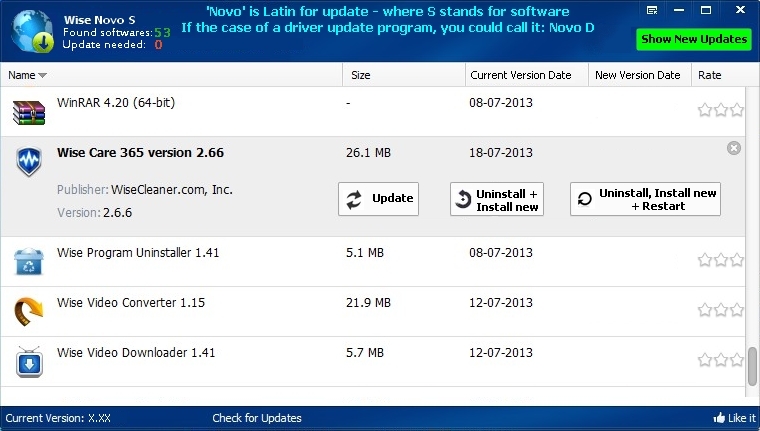 Wise Novo S - New Updater Program? Now I'm back on track with a new proposal regarding this perhaps future program. Smart idea! You always have soooooo many good ideas! This new program you advised is already on our schedule. We will work hard on it. Thanks a lot. Keep on making good suggestions. By the way, how is your holiday? It's great to hear you already have one in the queue. It has been a relaxing holiday with few chores until now. Hope you are in a good mood everyday!